Choetech's 5-Coil Dual Wireless Charger ($52.99) is a sleek, modern, 360° charging pad that can charge two phones simultaneously at 20W. 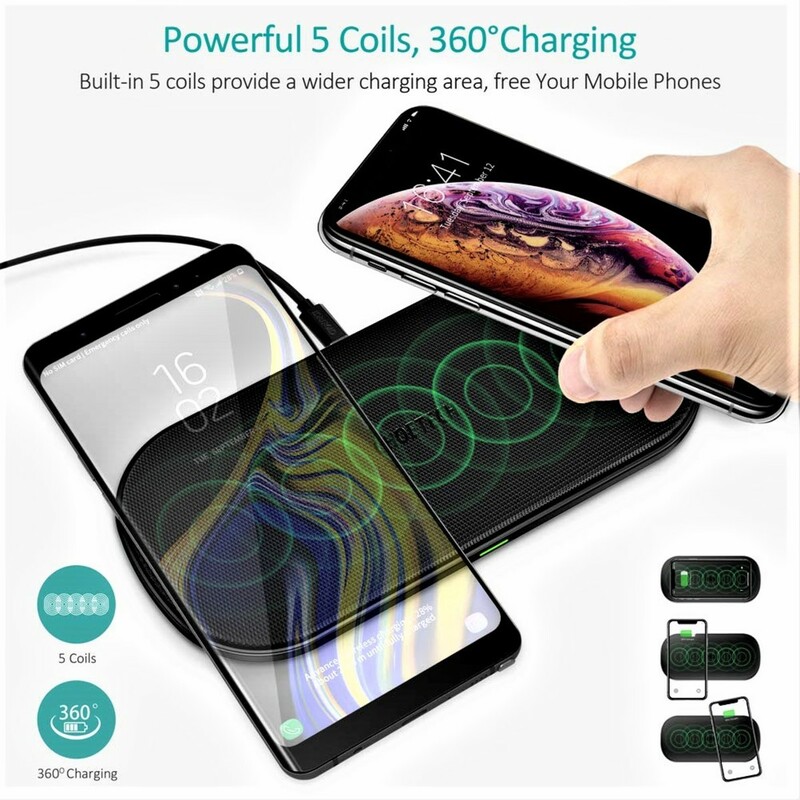 It uses a wide 5-coil spread to increase area and charging efficiency with three charging modes for 10W, 7.5W, and 5W standard Qi-enabled phones. The pad itself can connect to a main power source or adapter via a USB-C port, and it supports rapid speed wireless charging. The design of the pad is flawless with a PU leather surface that's modern, stylish, and makes the entire item lightweight & portable. It's the most sophisticated wireless charger I've ever had, and it's perfect for offices, bedrooms, and living rooms. But let's dive further and explore the technical details that really make this product stand out. Choetech's 5-coil charger works with an increasing variety of phones including those from Apple and Samsung. And with smart detection, the product automatically knows which power output setting to use based on the input device. Note: Not all phones are listed above. 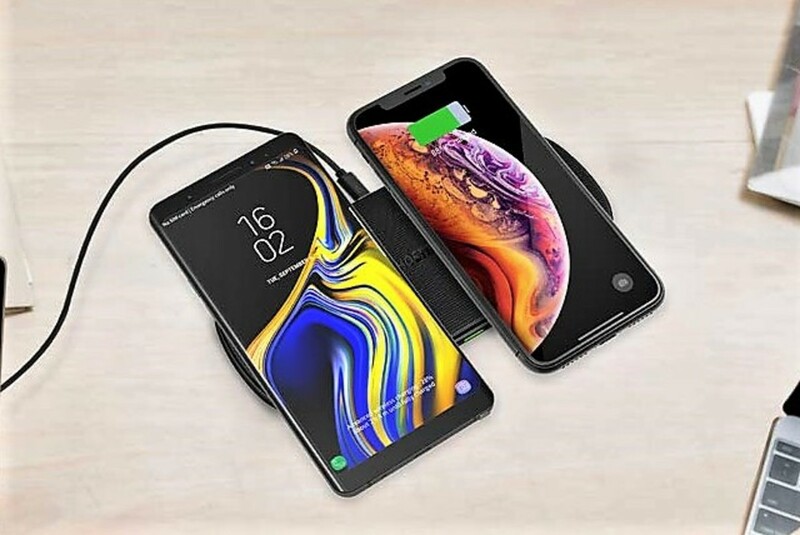 Future phone models like the Galaxy S10/10+ and newer iPhone gadgets will likely utilize the same wireless charging standards as their previous generation. So let me break down what I (and you will) like most about this product with my top 5 favorite features. Unlike a 3-coil charger that's limited in area, the 5-coil variety not only increases the charging space but it also allows for two phones to be dual charged. Specifically you'll get a 20W charge output (10W for each) when two phones are on the pad. Additionally the increased coils promote 360° charging where devices can power up if placed vertically, horizontally, or diagonally on the pad. The dual charge standard is an evolving, future-proof concept that many companies are attempting to master. To maximize your powering speeds, you can connect your pad to a Quick Charge adapter to deliver 10W of fast charge. 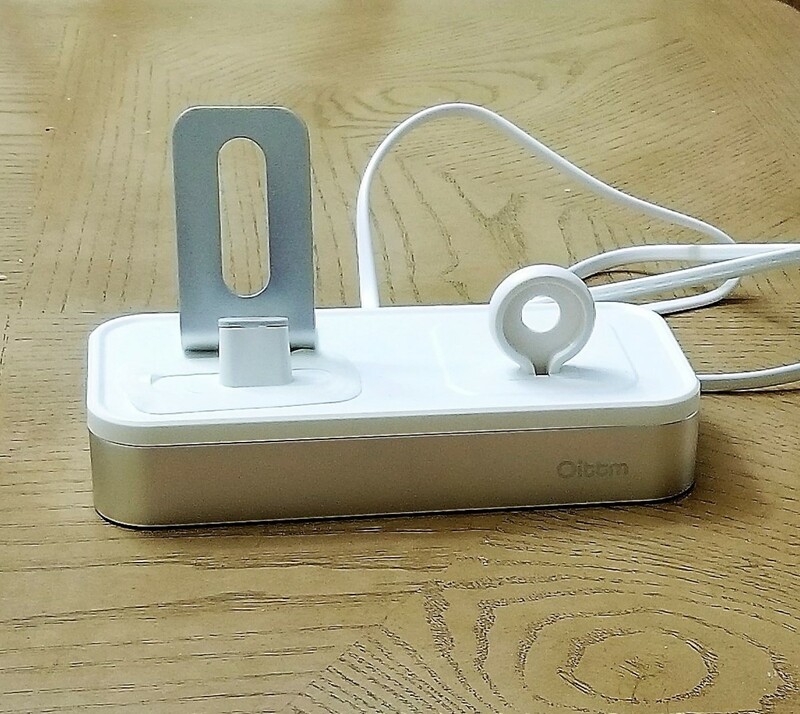 But even if you don't have a QC adapter, the USB-C port and smart adapt functionality can charge your iPhone or other Qi-enabled phones at their optimal speeds. 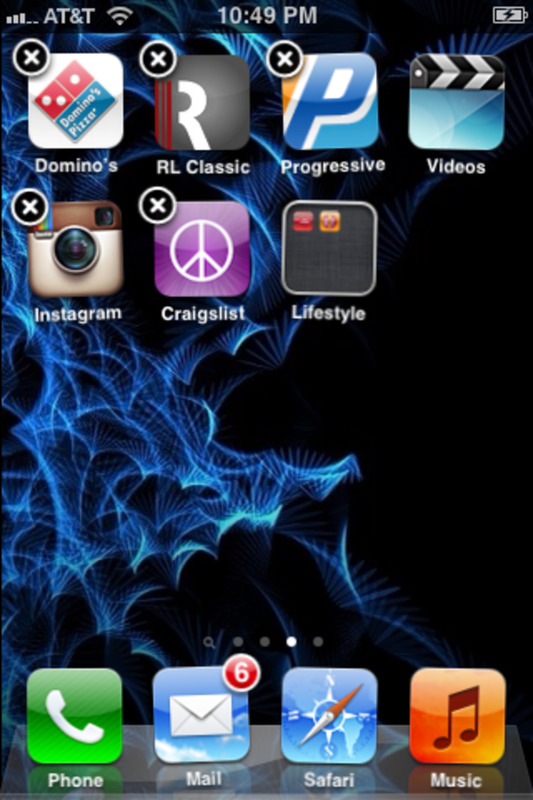 This quickness is particularly evident when charging a singular phone. This item has the most up to date safety certs from the FCC, RoHS, and CE as well as over-current, overheat, over-voltage, short circuit protections with an 18-month warranty in case something goes wrong. This guarantees your pad and what's on it remains stable, secure, and damage free. I've never had any overheating issues, and I give a lot of credit to its design. Speaking of design, this product is baked into it. 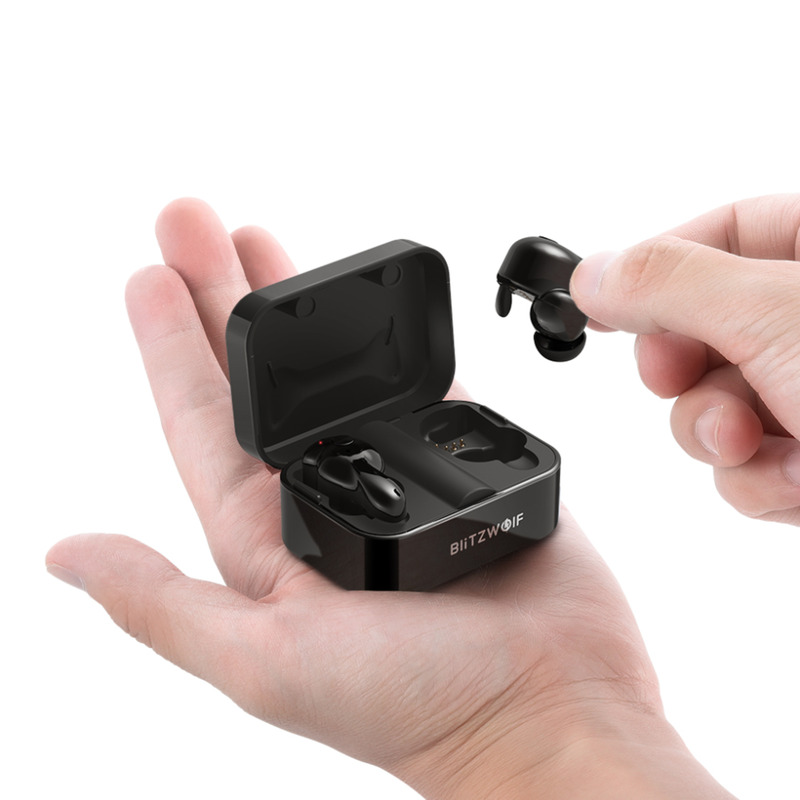 It has a new-age PU leather surface, a USB-C port, an anti-slip, silicone bottom, and a heat dissipation hole. I love the design because it's practical, aesthetically pleasing, and it can be used anywhere without looking out of place. I've bought and tested many wireless chargers over the years, and this is definitely the best looking one yet. The Choetech 5-coil charger looks great, but did you know it's also super light and portable. I've frequently taken it with me on trips, to my office, and on the plane. It slips into your suitcase or carry-on like nobody's business, and it never gets in the way of other items. This product is a must-have for domestic travelers and Choetech knows it. 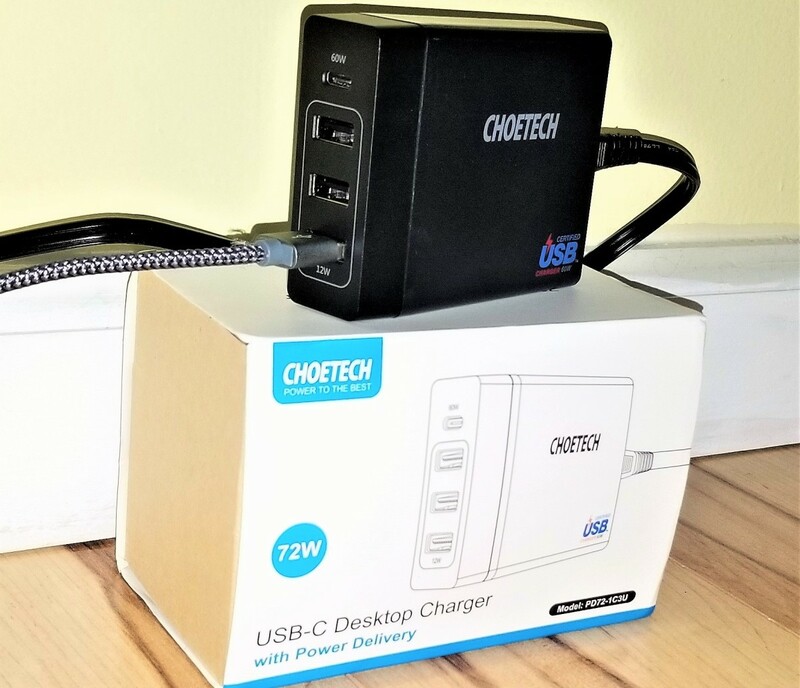 I'd be remiss if I didn't mention some of the biggest complaints about this Choetech charger from myself & other reviewers. Listed below are some of the greatest offenders. At $50+ this is teetering on impulse buy given what it is. Nobody needs a wireless charger as most wired chargers work just fine, and there are plenty of cheaper wireless options too. However for this rate you're getting the extra coils, extra pad space, and the modern style, which may or may not be for everyone. The price would be thoroughly justified if the item could charge smart watches, iPads, or Air Pods too. Unfortunately it's only compatible with Qi-enabled phone models, so if you're looking for a gadget that can do it all, then this is not the product for you. Perhaps they'll release a new version that can charge everything in the future. This is a problem with most wireless chargers, and I've yet to see a good solution for it. Because unlike a wired charger, you pretty much can't use your phone while it's getting Qi charged. And if you do, then you'll double down on the next biggest complaint. I was able to successfully charge two phones overnight, but the key word is "overnight". Charging 2 phones at the same time while you're awake will take a while. And if you aren't using its fast charge capabilities, then you're probably be better off using a wired adapter. Still, I personally see wireless chargers as primarily overnight products, which is why they're excellent for nightstands when you don't feel like fiddling with wires. I've read a few complaints that the phones haven't fully charged even after hours of use. I haven't experienced this, but if this is happening to you, then please contact Choetech at support@choetech.com to get this resolved. After a few weeks of testing, there's a lot to like and a lot to dislike. There are some aspects that are much better than other wireless chargers but many issues that plague this product category have yet to be resolved. 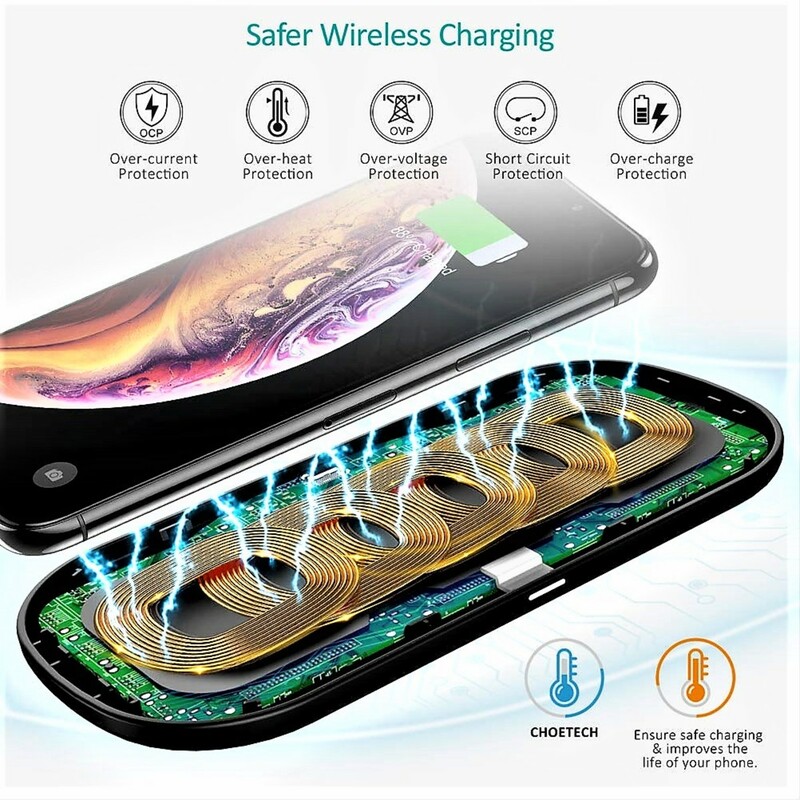 I would give the Choetech 5-Coil Dual Fast Wireless Charger 4 out of 5 stars. I can't fault the product for the shortcomings of its product category, but I also wish it would've improved on more of them. On the plus side, this is the best looking charging pad I've seen and the 5-coils are a step up from the usual 3-coils. It would be cool if this could charge other products, particularly smart watches, but that's understandably very difficult to do. 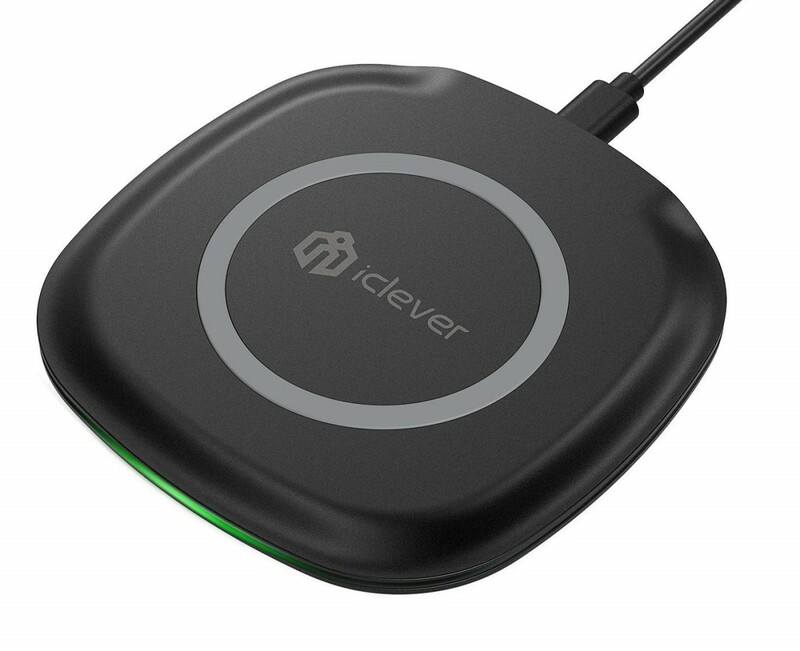 Overall I would recommend this item if you're in the market for a wireless charger or if you're curious. If you have no interest in this category, then stick with the wired ones. I have enjoyed using this device and I appreciate the time they put into it. 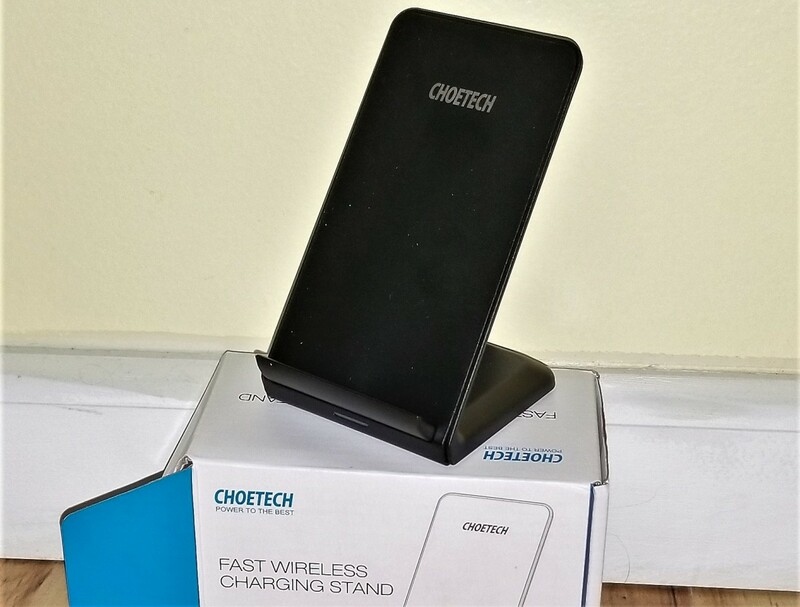 So if you favor style and want to test out the extra features, then the Choetech 5-Coil Dual Fast Wireless Charger is the one for you. What are your thoughts on wireless chargers? That's a good point FlourishAnyway.My fitbit is alao always running out of charge when I need it. I wish it charged smart watches but that feature will probably come along in the future as well as a price reduction. Great quality review. Not charging fully would be a draw back, but if you didn't experience this, maybe it was down to another reason. The advantage of this seems to be the multi charging capacity. I wonder if, in years to come, as these become more popular, we will start to hear of related health issues. I just got one because I found that these chargers are easier to use when one is traveling. I should have read your review first but I just got a cheaper one to try out.